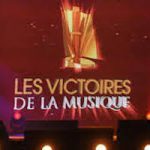 Singing live with Björk for the French Music Awards (Les Victoires de la Musique) broadcast live on France 2. Amazing. Orchestra conducted by Simon Lee. 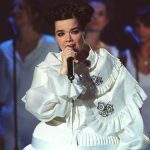 ©ANGELI/ALPHA D87018 10/03/02 BJORK 17th ZENITH MUSIC VICTORY AWARDS -PARIS, FRANCE.